To be quite honest, although the protein supplements one buys as protein shakes are indeed effective in helping pack on the muscle mass, biologically it’s a bit of an unnatural way of getting more protein than usual, albeit you do indeed need more protein than you normally would if you wanted to beef up. For those budding beefcakes who respect the natural biological guidelines as provided by Mother Nature, your patience will result in better results which do nothing to disturb the normal functioning of your body. This means you’re willing to spend a little longer in the gym in order to pack on the muscles without going too heavy on the artificially isolated protein contained in protein supplements like protein shakes. I mean there’s a reason why certain food types contain certain proportions of nutrients in them. There is nowhere in nature where a strong animal builds up its strength and physique to match that strength through artificially inflated levels of protein intake, apart from a specific species of rhino found on the outskirts of the desert of course. Then again, this desert rhino effectively bulks up disproportionately since the cactus it feeds on synthesizes traces of creatine and the elements which go into the formation of steroids. You’re going to be making two different protein shakes with this basic list of ingredients, one for your pre-workout nutritional needs and the other for your post-workout shake. Separate the egg whites from the yolks and into a protein shake bottle mix in the egg whites with milk and honey or brown sugar. The honey/sugar is for taste, albeit it’s not really meant to make the shake taste anything close to something you’d enjoy. It’s basically just to make the taste a little more bearable. This is your pre-workout shake which essentially loads your system up with protein that will make for some much-needed fuel. The honey or sugar also pretty much adds to the fuel, but the protein contained in the egg whites digests a lot quicker and easier. 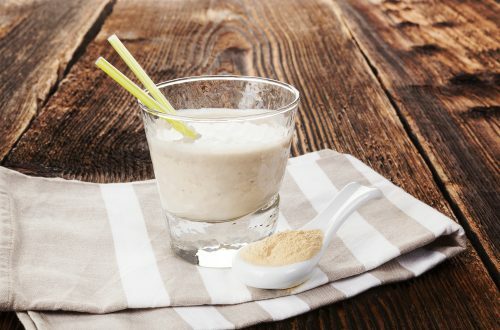 After you’re done with your workout which would undoubtedly involve some heavy lifting, the remaining ingredients are to be blended together to make your post workout shake. This is basically your muscle fiber repair nutrition comprised out of milk, vanilla extract (again just for taste), brewer’s yeast and the two eggs yolks in place of the egg whites. In both instances the ingredients are to be ingested raw, something you’ll get used to after about three or four gulps. Really this is how you’re supposed to get your extra protein load if you want to beef up, with the muscle mass gained as a result making for more solid muscle than what you’d build up if you used protein supplements. I hope you can keep it down though because I sure couldn’t.